Looking for a last minute Valentine’s gift? Thanks to Trotec Laser USA for this tutorial on how to laser Love Locks. 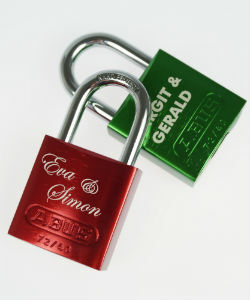 Typically the lovers’ names or initials are engraved on the padlock, and the key is thrown away to symbolise their endless love. Open our template or create your own individual design and send it to the laser.